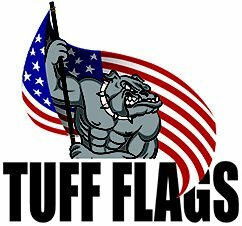 Tuff Flags wants to be able to fill all of our nation's governmental flag needs. 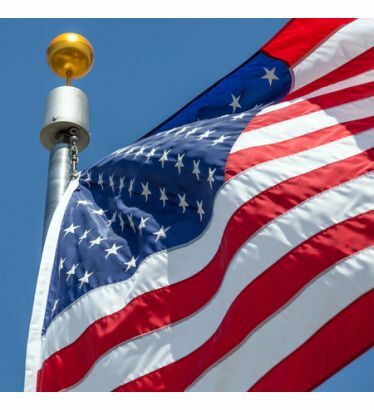 For Government Purchasing departments that have previously used only lock-stitch flags are now required to match this technical spec we offer a line of Lock-Stitch on 200 Denier U.S. flags. 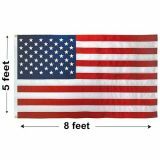 This 5'x8' U.S. Nylon Lock-Stitch Outdoor flag is produced with exactly the same specifications as Annin and Valley Forge brands. The specifications for these U.S. flags are shown below so that you can match them to your required specifications. Commercial Grade. Best Flyability and Performance in Light to Medium winds. Exact Construction and Material Specifications as Annin and Valley Forge U.S. Flags. UV resistant inks printed on nylon with 200 denier weight. Lock Stitch sewing method used soley. Fly end has 3/4" width with 4 lines of stitch, then back stitched. Sewn with T-45 thread. Requires 45 lbs to break. Header is made of 7 oz. 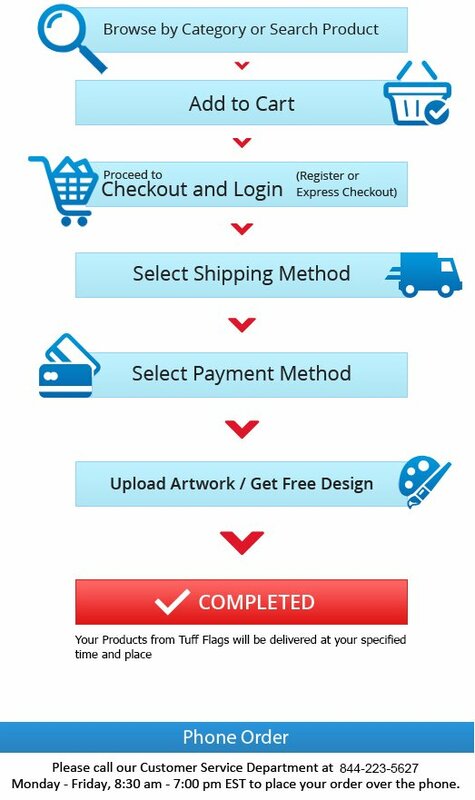 Duck heading which is commonly called Canvas for promotional purposes.